Gameplay do jogo The King of Fighters Forever 2018, feito com base na engine M.U.G.E.N. 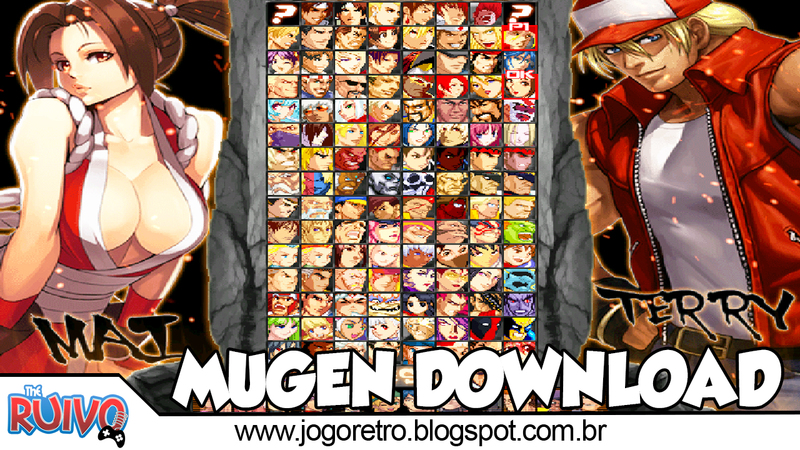 O jogo The King of Fighters Forever 2018 traz diversos personagens de várias sagas, tais como The King of Fighters, Street Fighter Zero, Street Fighters 3, Rage of the Dragons, X-Men, Marvel, dentre outras. 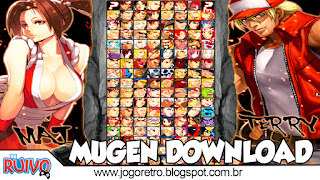 Você pode escolher entre os personagens Ryo Sakazaki, Robert Garcia, Yuri Sakazaki, Chang Koehan, Kim, Leona Heidern, Ralf Jones, Clark Still, Billy Kane, Ryuji Yamazaki, Mai Shiranui, Blue Mary, Benimaru Nikaido, Shingo Yabuki, Goro Daimon, Athena Asamiya, Kyo Kusanagi, Iori Yagami, Terry Bogard, Andy Bogard, Joe Higashi, Shen Woo, Ash Crimson, Deadpool, Capitão América, Wolverine, Hulk, Homem de Ferro, Homem Aranha, Akuma, Alex, Balrog, Birdie, Blanka, Cammy, Charlie, Chun-Li, Viper, Dan, Dee Jay, Dhalsim, Dudley, Honda, Elena, Fei Long, Gouken, Guile, Ibuki, Ken Masters, Bison, Makoto, Rose, Rufus, Ryu, Sagat, Sakura, Hawk, Vega, Zangief, entre outros.